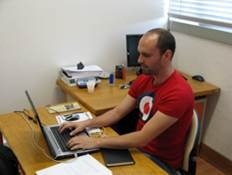 António's main research interest are evolutionary biology and evolutionary ecology, with a focus on how parasites determine the diversity of forests and other comunities. Miranda, A., Carvalho, L.M. & Dionisio, F. (2015) Lower within-community variance of negative density dependence increases forest diversity.